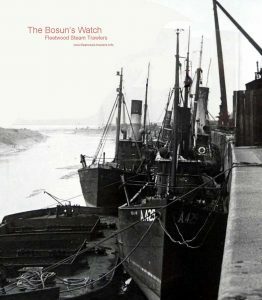 19.12.1912: Launched by Mackie & Thomson, Govan, Glasgow (Yd.No.439) for Soc. Anon Pecheries d’Islande, Ostend as KONING ALBERT. 1912: Completed. 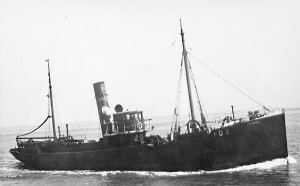 Registered at Ostend (O25). J. Baels designated manager. 14.9.1914-16.12.1919: Landing at Milford (Belgian crew). 1.1924: Sold to Walter M. Olney, Cleveleys. 15.1.1924: Registered at Fleetwood (Part I & Part IV) as RACHAEL O.N.141965 (FD2). Walter M. Olney designated managing owner. 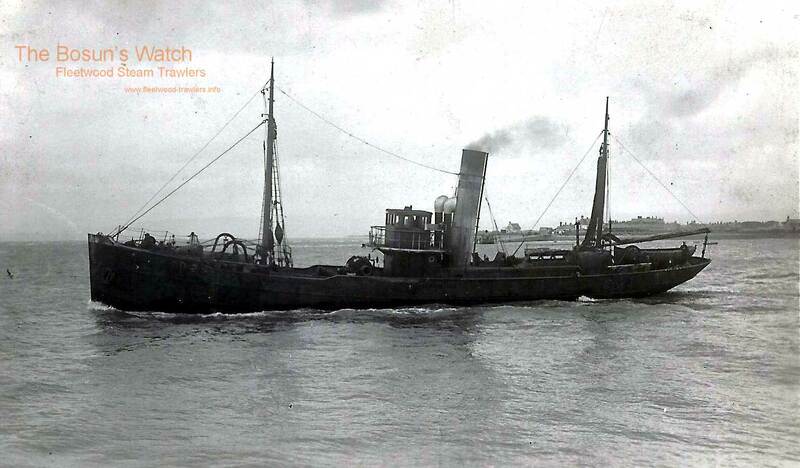 17.1.1924: Sold to Reliance Trawlers Ltd, Fleetwood. Walter M. Olney designated manager. 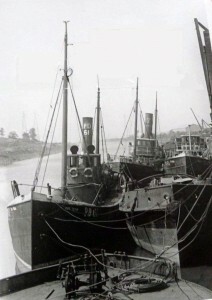 25.8.1924: While alongside at Milford Haven, fireman William Frederick Sinclair, 33 Wildman St, Blackpool, fell into the dock and was drowned. 5.5.1935: At about 2.00 am when fishing 15 miles off Rockabill Lighthouse run down by Dublin registered steam coaster SAINT FINTAN (495grt/1921) sustaining damage starboard side aft and losing fishing gear. 26.11.1937: Fleetwood registry closed “Broken up”. 02/11/2017: Removed FMHT watermarks from images. 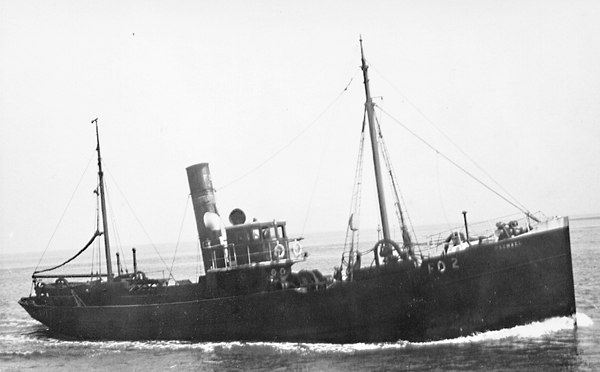 This entry was posted in Steam Trawlers, Steamers (Picture) and tagged Reliance Trawlers Ltd, Walter M Olney on January 24, 2009 by Fred Smith.